UT 12 coming from 89 onto Tom’s Best Spring Road at N 37.71973, W 112.25539. Tom’s Best is not all that well marked. Look for a sign on the left, maybe 50′ off of 12, as soon as you come out of Red Canyon and the landscape flattens out and opens up. Traveling west on 12 Tom’s Best you’ll be getting close to the the hills you’ll see in the near distance, assuming it’s daytime. GPS coordinates may not align with roads shown on map. (They didn’t for me–see the map below.) To get to my spot turn east (right) off Tom’s Best Spring Road onto unmarked spur road at N 37.73059, W 112.24600, marked Dixie BD Turnoff, then bear right at the Y.
GPX file: https://db.tt/2uofASul The URL to the GPX file should cause it to download to your computer. You can then unzip it (if necessary) and load the GPX file at http://www.gpsvisualizer.com and have the waypoints and track data of my scouting route plotted on Google Maps or Google Earth if you have it installed on a computer. Alternatively if you have Garmin Basecamp installed on your computer you can load it into that app. Double clicking the GPX file will boot Basecamp and load the file on a Mac. I’m guessing the same will happen on a PC. Gas: East on 12 a few miles. 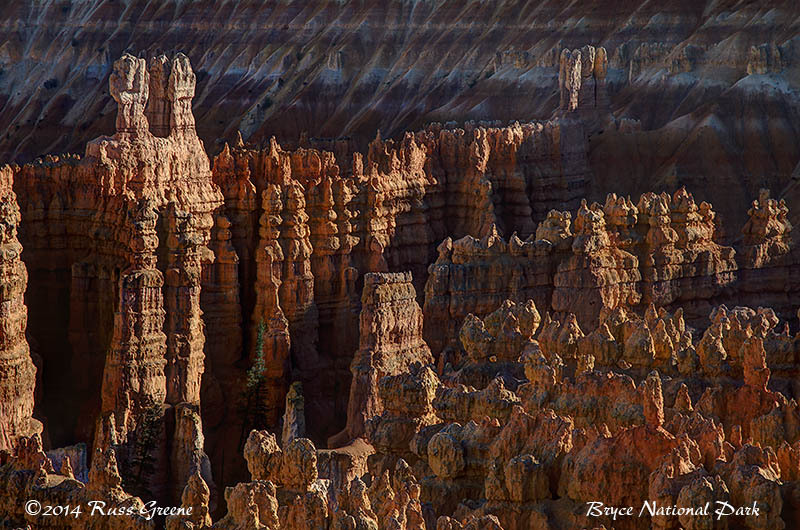 There are 2 or three other stations near the entrance to Bryce about 10 miles away. Groceries: Joe’s Market in Panguitch, about 12 miles, is reasonably well stocked; Ruby’s Inn, Bryce Canyon City near the park entrance has a small market with not much more than essentials as well as a gift shop and camping section. It’s a General Store. 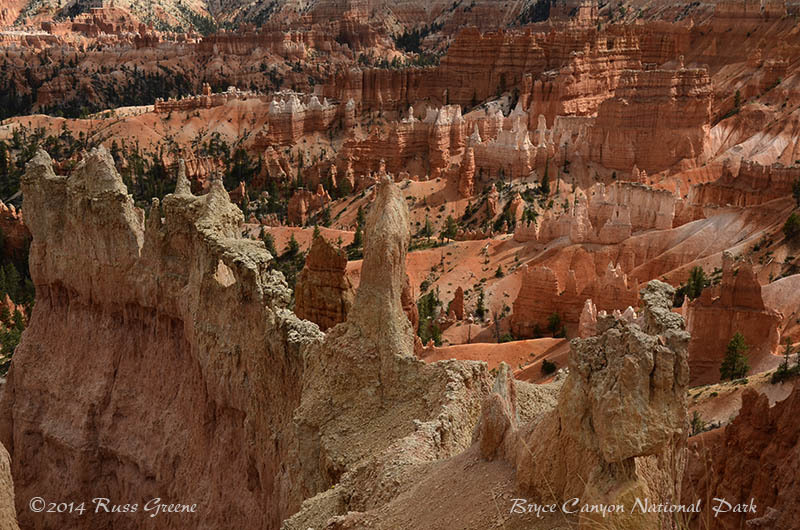 There’s a General Store within Bryce but its food stock is very limited. Dump Stations: American Car Care Center, 105 South Main Street Bryce Canyon City; Ruby’s Inn has one. 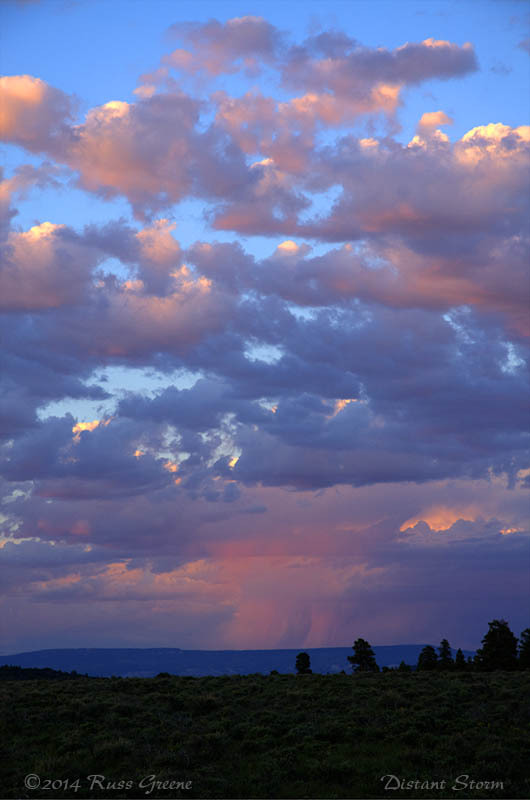 There are dump stations in Bryce and there are a number of RV parks along 12 and 63 that may allow dumping. Some of these are seasonal. Here is a link to SaniDumps page about the area. Panguitch is the nearest town of any size and it’s small. 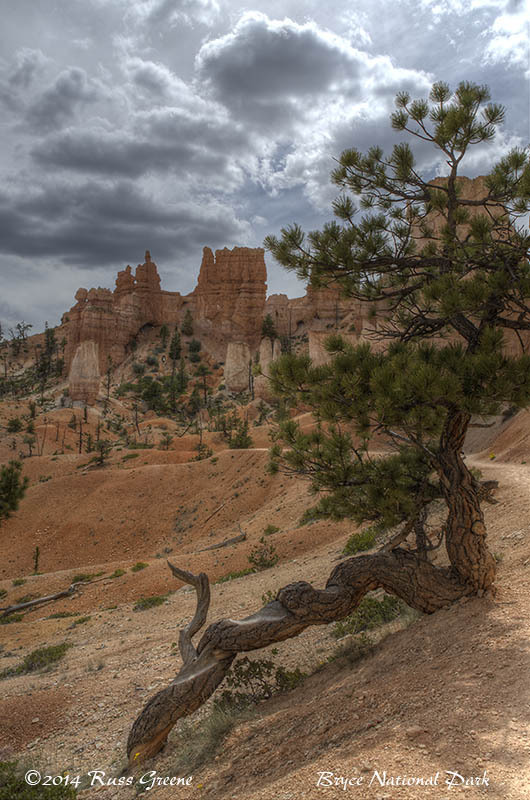 I wanted to boondock close to Bryce Canyon Nat’l Park. 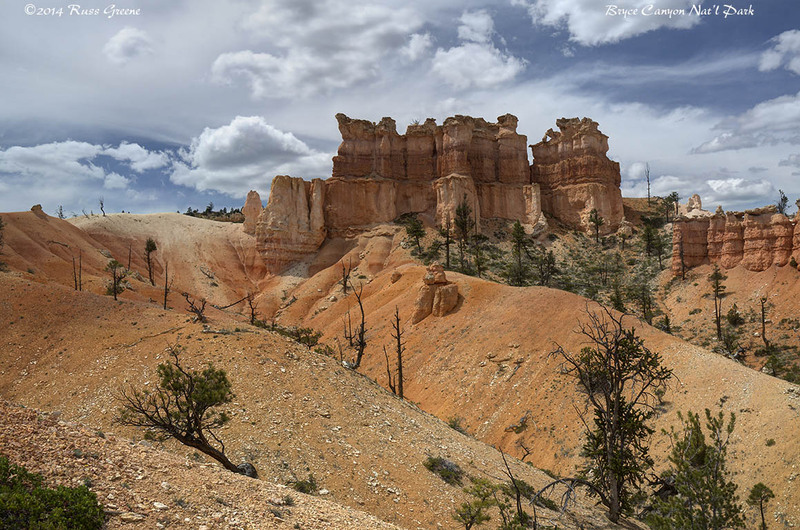 My explorations led me to a spur road off of Tom’s Best Spring Road which intersects UT 12 in the Dixie National Forest about 10 miles from the entrance to Bryce. Originally, when I phoned the Forest Service office that oversees this part of the Dixie Nat’l Forest the road to Tropic Reservoir was suggested. Although the turnoff to the reservoir from 12 is closer to Bryce than the turn off onto Tom’s Best, I learned from the Forest Service’s Red Canyon Visitor Center, which is closer to the action than the office I’d spoken with on the phone, that there is no camping along the reservoir road until after the reservoir which is 7-9 miles down the road and it’s a dirt road. So, as it turns out that Tom’s Best may be a better choice if one wants to get to Bryce easily and not have to travel to far on dirt roads. The Dixie is huge, by the way, and has four or five discontiguous sections with several different Forest Service offices overseeing them. The Powell Office in Panguitch oversees this part of the Dixie: 435-676-9300. Here is the Forest Service page with all the offices in charge of the Dixie. Tom’s Best, itself seems to be maintained pretty well, however, the spur roads leading from it do not receive such favorable treatment. I explored a number of them looking for potential boondocking sites. Of those sites flagged on the map some were in use, others had clearly been used, and I think most of them should be accessible to big RVs without much difficulty. That said, some of the spur roads have some deep ruts which may challenge RVs with lesser road clearances. So, walk in or drive the area first before taking your rig off Tom’s Best. The soil in this area seems that it may have a high clay content and be the type that becomes a gooey, sticky, slimy (is that enough adjectives?) mess when wet. I haven’t seen it very wet so I’m not 100% certain of this. I’d be careful to watch the weather reports and if there is much rain in the forecast I’d be tempted to look for other digs. At various places in northern Arizona and around here I’ve seen sign posts at road-heads and brochures saying “road impassable when wet”. At the BLM visitor center in Escalante I was told that they don’t recommend any RVs on the dirt roads in the Grand Staircase-Escalante Nat’l Monument as the soil there makes them impassable when wet. The same individual told me the soil in the Dixie is better. This, even though the two border on each other. The forest and the monument have rather different characteristics. Some of the locations I’ve flagged on the map are right along or very close to Tom’s Best. Others, such as the location I camped are a little further off the road. 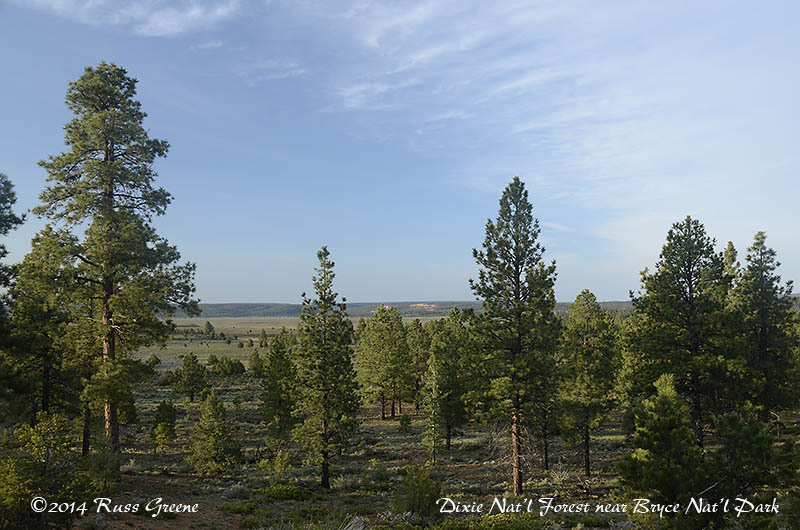 I was thrilled with my location, marked Dixie Nat’l Forest BD on the map, as it had a lovely view, and was far enough off 12 so as not to be bothered by the traffic noise. I don’t expect there’s too much traffic at night, probably very little in fact. Certainly none that I noticed or that affected my sleep. I had to share my location with some neighbors maybe 50’ away who rolled in a short while after I did, but I enjoyed their company and learned a good deal from them when we chatted as they had been full-timing over 8 years and knew of many places to boondock and visit. They were towing a 30′ 5th wheel, and I drive a 30′ Class C with another 3′ of motorcycle carrier on back. I mention this to give you and idea of the access to the spot I camped. The spot marked 0251 on the map, very close to where I camped, is a pretty special spot on a small plateau and cul de sac overlooking a valley. I’d scout that one for availability first should I return to this area. GPS coordinates for that spot and all the other spots flagged on the map are in the GPX file. Did I mention that I was very happy to be in the spot I camped? 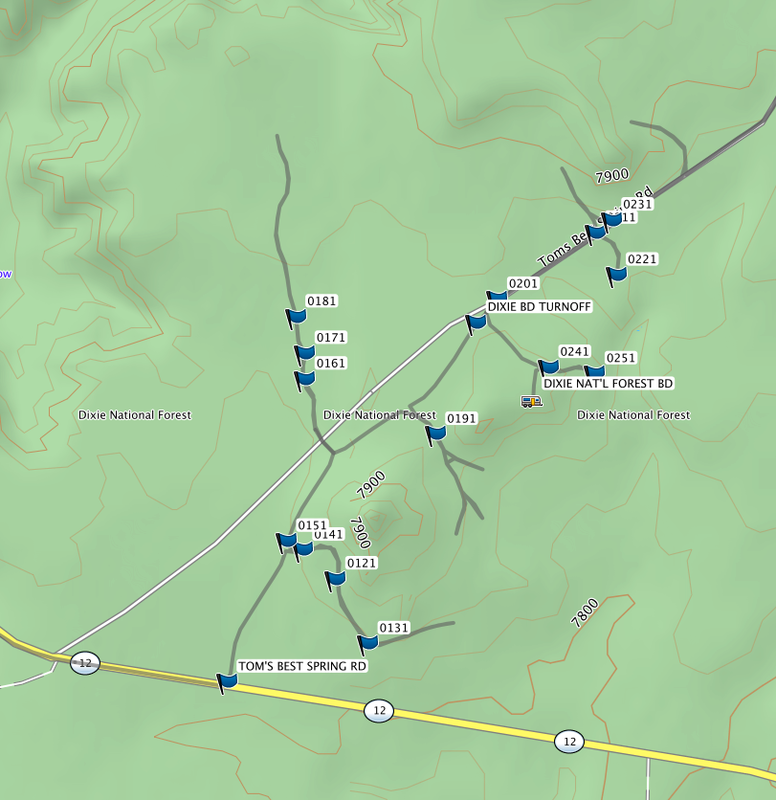 Speaking of scouting, I did not by any means scout all the roads or possible locations in the immediate area, but I did drive around with my dirt bike for a good half hour or so making GPS waypoints wherever I thought a big RV would probably be able to park. Some of the spur roads have spur roads of their own. You never know where they will go: if they will loop around and meet up with another road, if they will dead end in 100 yards, or if they will be passable. My impression from driving a few of them is that most of the spur roads off of spur roads are not in very good condition and do not offer may opportunities to turn around, so I would generally avoid them with anything but the most agile of vehicles such as ATVs. Some of the locations in the area I scouted are nestled amidst the trees while others are in open areas. Those to the west of Tom’s Best tend to be in more open areas; those on the east more wooded. To get a better idea of this you can load the coordinates (above) into Google Maps and use the satellite view to see the terrain. You’ll notice that the satellite view shows roads that don’t align in all places with those that Google maps onto the image, similar to my own GPS results. From the area immediately around my camp you can be in Bryce or Panguitch in roughly 20 minutes. The Red Canyon Visitor Center is just down the road a few miles and they have maps and information of the surrounding area. Juanita, a volunteer there, loaded me up with maps and information about all kinds of places to visit, how to get there, where the photos were taken that are shown in the posters on their wall etc. and not just places within a few miles but places further afield. If you can find her she’s a treasure trove of information. 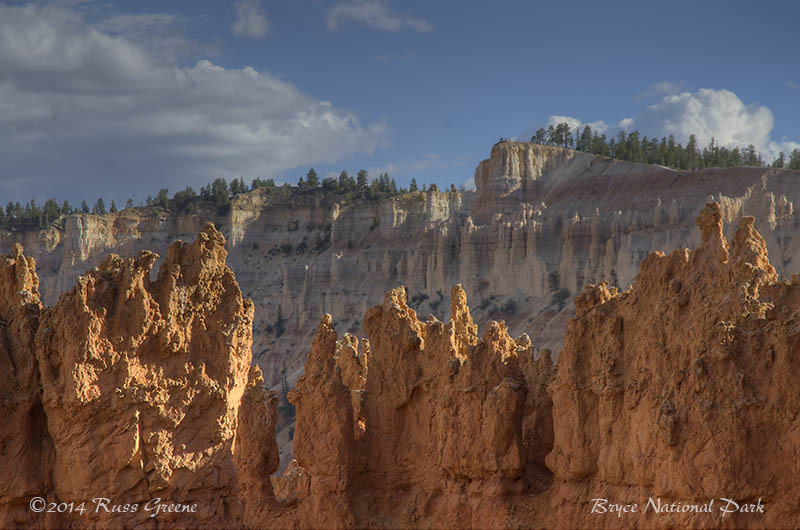 For nature lovers such as myself, southern Utah has many places to visit including Bryce, Grand Staircase-Escalante, Glen Canyon NRA, Capitol Reef, Canyonlands, Natural Bridges, Arches, Cedar Breaks…what am I leaving out? I’m including some photos below. Please feel free to use them on your personal electronic devices for wallpaper or to show to your friends. However, they are the copyrighted property of my work effort and any other use such as forwarding them to others, posting them on web sites–ANY other use is strictly prohibited and unlawful. Thank you for your cooperation.